Innodisk SATADOM™-MH 3SE effectively reduces the booting time of operation system and the power consumption is less than hard disk drive (HDD), and complies with ATA protocol, no additional drives are required, and can be configured as a boot device or data storage device. Innodisk SATADOM™-ML 3SE absolutely replaces the traditional hard disk and makes personal computer, in any field, smaller and easier. 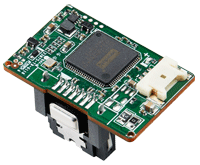 Innodisk SATADOM™-SH Type C 3SE is designed as the standard SATA 7 pin connector with SATA interface, and supports SATA III standard (6.0Gb/s) with excellent performance. 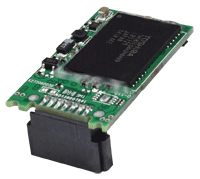 It has opposite angle compare to SATADOM™-SH, and able to fulfill different motherboard (SATA port) design. 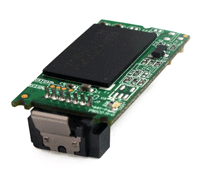 Innodisk SATADOM™-SH 3SE is designed as the standard SATA 7 pin connector with SATA interface, and supports SATA III standard (6.0Gb/s) with excellent performance. Innodisk SATADOM™-SH 3SE3 effectively reduces the booting time of operation system and the power consumption is less than hard disk drive (HDD), and complies with ATA protocol, no additional drives are required, and can be configured as a boot device or data storage device. Innodisk SATADOM™-SH 3SE3 Type C effectively reduces the booting time of operation system and the power consumption is less than hard disk drive (HDD), and complies with ATA protocol, no additional drives are required, and can be configured as a boot device or data storage device. 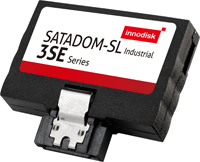 Innodisk SATADOM™-SH TYPE D 3SE3 effectively reduces the booting time of operation system and the power consumption is less than hard disk drive (HDD), and complies with ATA protocol, no additional drives are required, and can be configured as a boot device or data storage device. Innodisk SATADOM™-SL 3SE is designed as the standard SATA 7 pin connector with SATA interface, and supports SATA III standard (6.0Gb/s) with excellent performance, Innodisk SATADOM™-SL 3SE absolutely replaces the traditional hard disk and makes personal computer, in any field, smaller and easier. 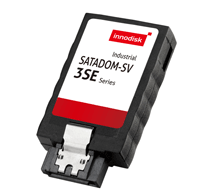 Innodisk SATADOM™-SV 3SE effectively reduces the booting time of operation system and the power consumption is less than hard disk drive (HDD), and complies with ATA protocol, no additional drives are required, and can be configured as a boot device or data storage device.